Rambutan are closely related to the lychee, the tropical Rambutan, pronounced ram-BYU-tn, varies in type and quality. The fruit may be greenish-yellow, orange or crimson, are oval-shaped and usually 1 - 2 inches long. The soft, flexible exterior shell is covered in stiff, hair-like bristles. While the exterior makes it seem larger than the lychee, the inner fruit is actually smaller. 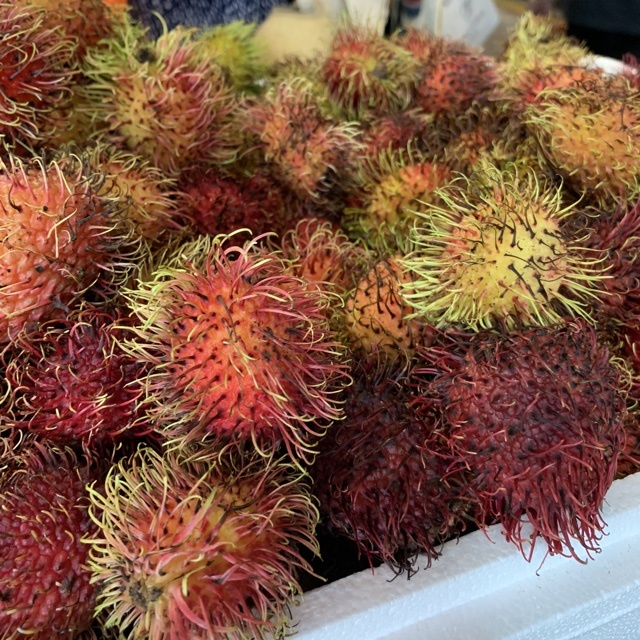 Rambutan flesh is juicy, milky- white, translucent in color, with a grape-like, gelatinous texture surrounding a central seed with and almond-like taste. 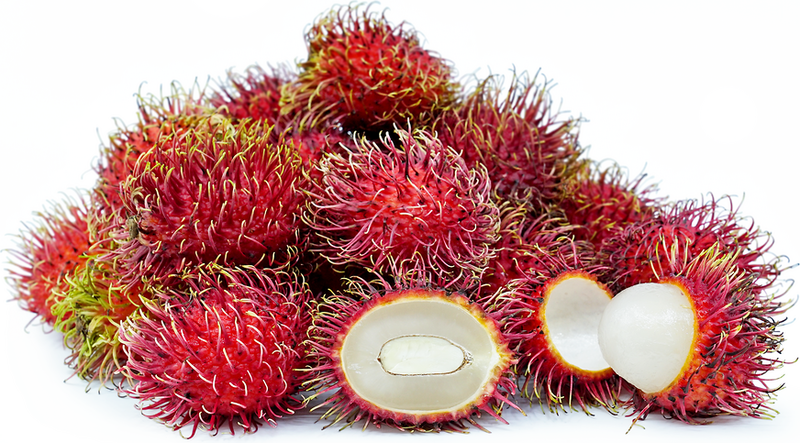 The flavor of a Rambutan is more acidic than the lychee, sweet and very aromatic. Rambutan trees fruit twice a year, yielding crops beginning late June and August and in December and January. North American markets are supplied by Hawaiian crops. Resemblance to a sweet chestnut, this unusual fruit gets its name, from the Malaysian word for hair, "rambut". Demands from Asian markets have increased the import of this rather rare fruit into Europe, the Middle East and North America. Traditional suppliers include Malaysia, Thailand and Indonesia but today Honduras and Australia are entering the raging Rambutan market. A source of vitamin C and calcium, rambutan provides niacin, iron, protein and fiber. An average fruit contains 59 calories. Rambutan is best eaten fresh. To prepare, cut or tear base of fruit; press out the translucent pulpy flesh. They can be muddled into cocktails, tossed with tropical fruit salads, or simmered with aromatics to make a flavorful simple syrup. Pair with other tropical fruits, fresh mint and cane-based liquors. Rambutan can be substituted in most lychee applications. Rambutan are fragile and keep only a day or two at room temperature. 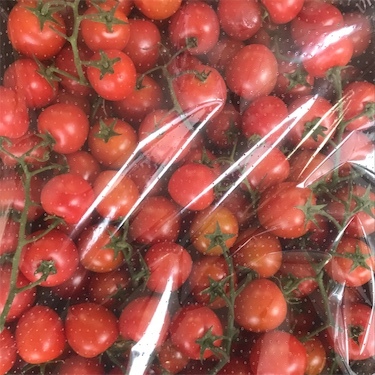 For longer storage when not eaten immediately, wrap in a perforated plastic bag; refrigerate. Rambutan is also known as litchi chevelu in France and is called "gente" in Malaysia. In Thailand it is known as "ngob" (paa) and the Chinese refer to it as "bong mao dan". Rambutan is most commonly grown in Indonesia, Thailand and Malaysia. The fruit is grown for export in Australia, Sri Lanka, Central America and Vietnam. Cultivation of Rambutan is considered too fragile for the mainland United States. Recipes that include Rambutan. One is easiest, three is harder. 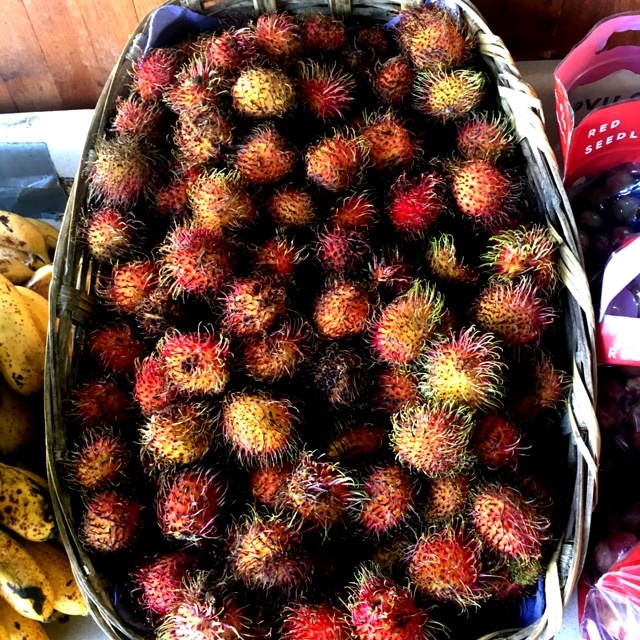 People have shared Rambutan using the Specialty Produce app for iPhone and Android. Sharer's comments : Rambutan spotted at Tomavo. 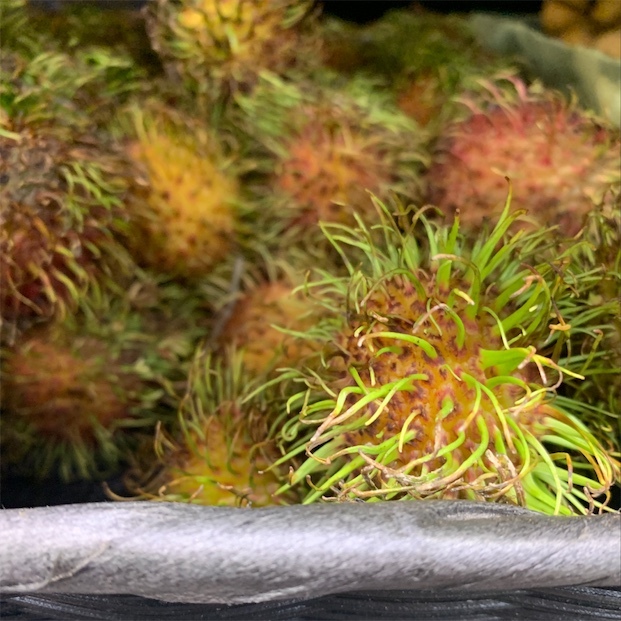 Sharer's comments : Rambutan spotted at Leks produce Market at the Oldsmar Florida Flea Market. 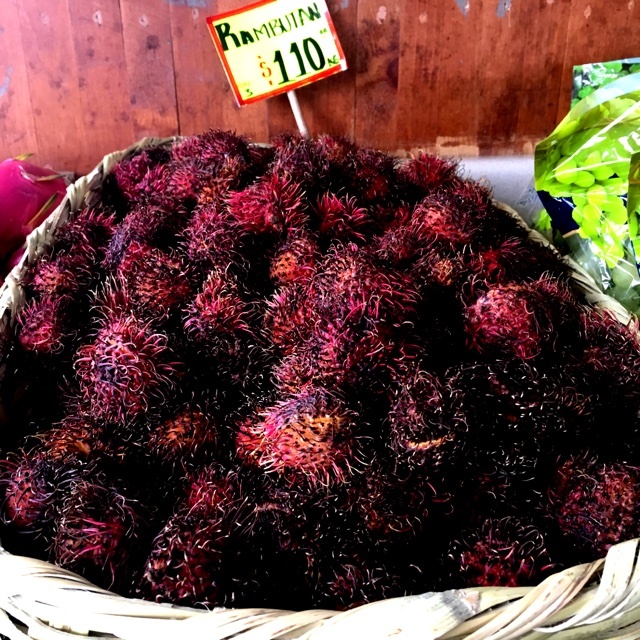 Sharer's comments : Rambutan spotted at Yellow Green Farmers Market. Sharer's comments : Rambutan spotted at Farmers Market. Sharer's comments : Rambutan spotted at Krudo. 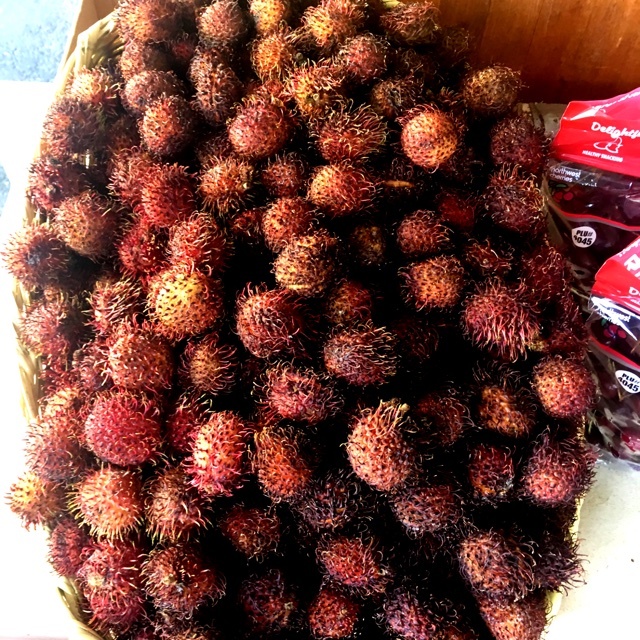 Sharer's comments : Rambutan spotted at Milam’s Market. 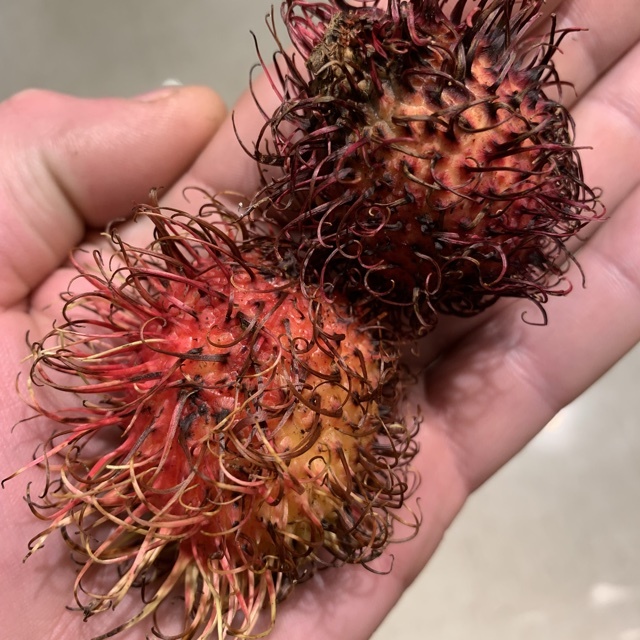 Sharer's comments : Rambutan spotted at Clemons Produce. 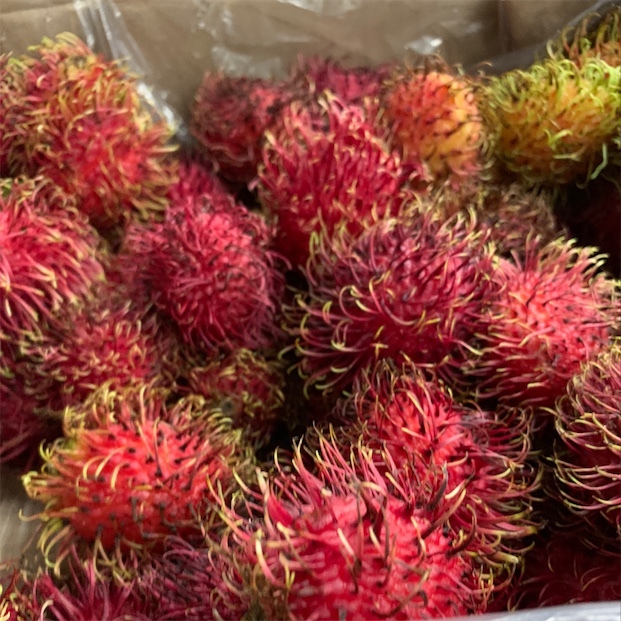 Sharer's comments : Rambutan spotted at Specialty Produce. Sharer's comments : Rambutan spotted at central market coit and george bush plano tx. 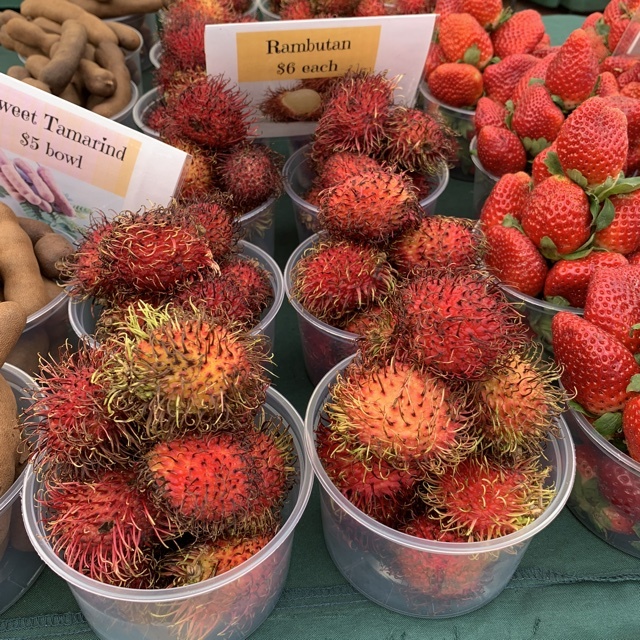 Sharer's comments : Rambutan spotted at Your Dekalb Farmers Market. Sharer's comments : Rambutan spotted at hmart austin texas. Sharer's comments : Rambutan spotted at Pike Place Market. 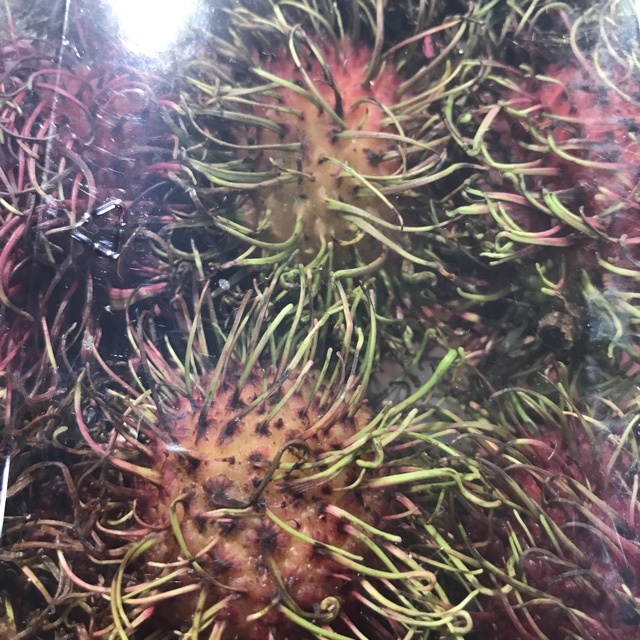 Sharer's comments : Rambutan spotted at Walmart Supercenter. 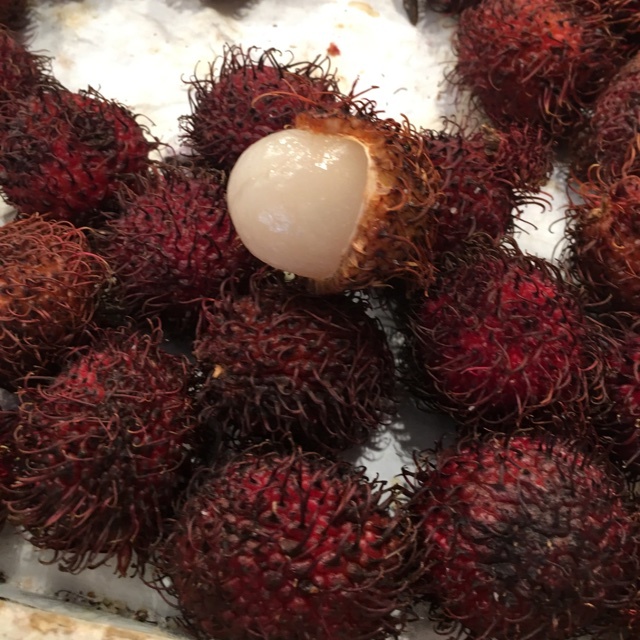 Sharer's comments : Rambutan spotted at Buford Highway Farmers Market. 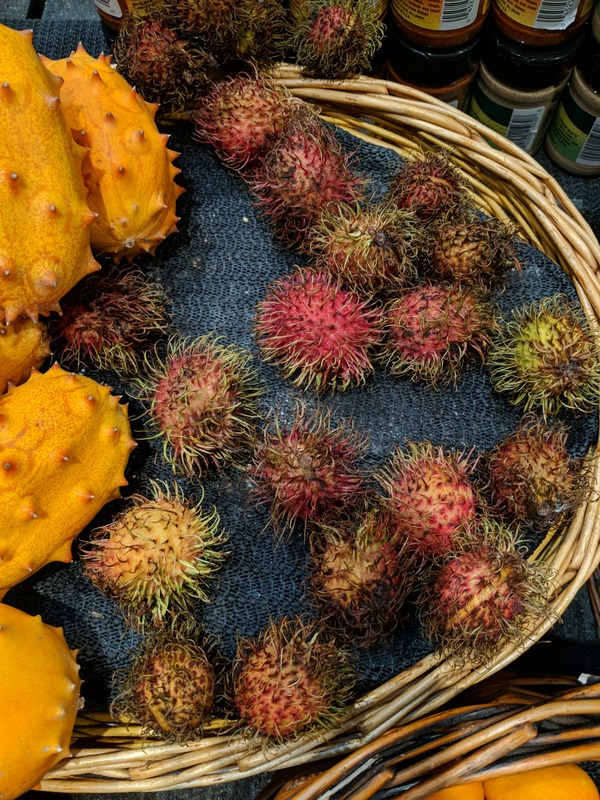 Sharer's comments : Rambutan spotted at Mercado Hidalgo. Sharer's comments : Rambutan spotted at Safeway. Sharer's comments : Rambutan spotted at Produce Junction. 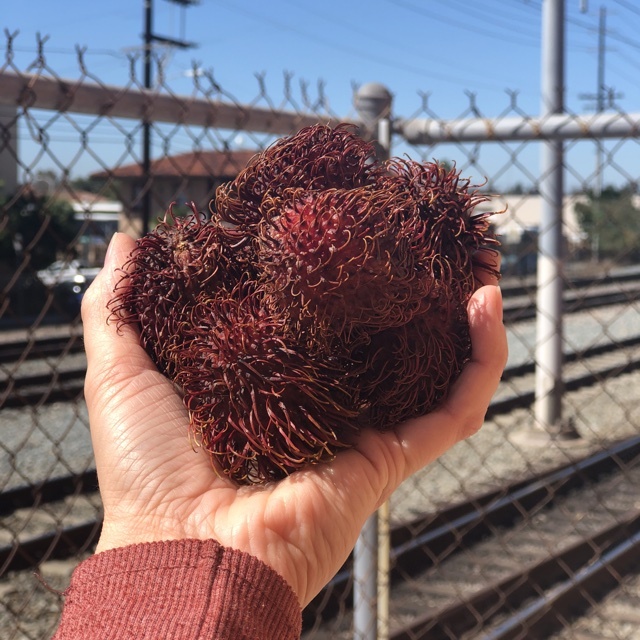 Sharer's comments : Rambutan spotted at Trader Joe's. These are not extraterrestrial as they appear ;) great conversation piece at you next brunch or bbq! Sharer's comments : Rambutan spotted at Sobeys. 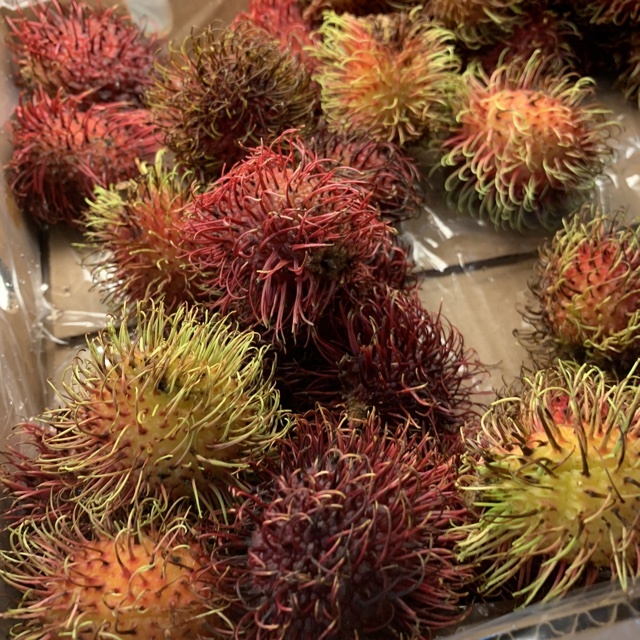 Sharer's comments : Rambutan spotted at Trader Joe's.